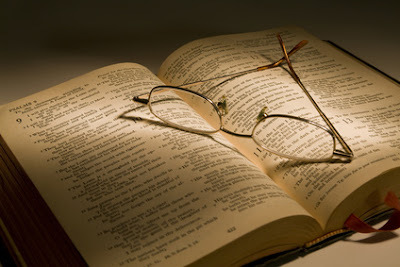 Long time readers of this blog will know that my preferred style of Bible reading is to follow a reading plan and endeavor to read right through the Bible each year. Of course there are lots of different ways to read the Bible besides the annual read through model. There's focusing in on a particular book and reading it multiple times over a month or more and really digging deep. Or reading a section slowly and thoroughly with the aid of a commentary. Maybe following a theme or topic through the Bible. Reading in and around Sunday's sermon passage leading up to or following your time at church. Small snippets. Large chunks. Random chunks. Daily reading. Weekly reading. Random reading. How is your Bible reading going? I ask because I want to encourage you with all my heart to keep persevering in the good work of growing in your relationship with God through His Word. Here's why. During the last three or four days I have heard news of various people in sudden and deep crisis. A couple of them are known to me personally. The others are known through friends and so I ache because my friends ache. Yesterday morning, unable to sleep, I gave in to my restlessness and got up to pray and read the Bible. I thought I would start with my daily reading and then maybe head over to one of Paul's letters or maybe some Psalms...some of those soft places to fall. My reading for the day included a passage from Deuteronomy and the stoning of Stephen in Acts. Deuteronomy and the stoning of Stephen would not be your typical "go to" passages in times of trouble. And yet they were such a comfort as I read about God promising through word and demonstration that He would be faithful, loving and sovereign in the lives of His people forever and then the example of a man, so certain of his faith in God that he stood firm through utter horror, spoke truth and prayed not for his own release but that God would forgive those stoning him to death and finally, that tender release from God at the end of his life. The more I read the Bible the more I learn about God and about being one of His children - and the more I find comfort and courage in some of the most unexpected places of this big book. There are certainly many "go to" passages in times of trouble or despair but the more I get to know all of God's Word, the more I see what I know to be true about God - His love, mercy, faithfulness, patience, justice, wisdom, sovereignty, holiness - in every page and so I can receive comfort and courage not just from the "go to" passages but also from simply reading the next bit and being reminded afresh of God and His good promises. If your Bible reading has fallen into a bit of a hole, or you never really got started, please let me encourage you to open your Bible and get going again. Please don't be overwhelmed or think, "I could never get my Bible reading to that point." I have a long way to go myself but in God's mercy and kindness I have got to this point by simply opening up the Bible on as many days of the year as I can and reading the next bit. Every year is better than the one before. And there is much joy in this lifelong project, most especially in the deepening of your relationship with God.